The William Mitchell Aldrich Scholarship has been created to honor the legacy of Mitchell Aldrich. Mitchel was a 2011 Westfall High School graduate and a proud member of the Mustang’s football team where he spent most of his playing time at defensive tackle. Those who were honored to know Mitch knew a person who had a very big heart. It was never uncommon for Mitch to have a huge smile on his face and he really enjoyed watching everyone around look back at him with that same big smile. Although Mitch only spent 19 short years on this earth, his kindness and generosity will live on for many years to come. This scholarship is to be awarded to a football player preferably, but not limited to, a defensive player. Another wonderful characteristic of Mitchell was that he accepted anyone as a friend. For that reason, any football player looking to forward their education should seriously consider applying. This Scholarship’s recipient will be decided by the Westfall Education Foundation’s committee. However, they know that the criteria is not the highest GPA or the highest football honors. Mitchell was a well respected young man and he would want this scholarship to be awarded to someone of great character and passion for life. In the event a football player does not apply, the amount to be determined will be held for the following year. 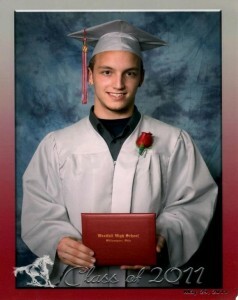 William Mitchell Aldrich graduated with the Class of 2011 and had a passion for music that would be hard to compare to. His passion came from his parents at a young age where growing up, music was always playing. His choice of music was so eclectic that it ranged from Frank Sinatra to Tupac Shakur. He pursued his musical career during his spare time, even teaching himself the guitar and was a band member prior to his high school years. 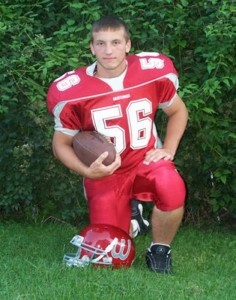 Those who were honored to know Mitch knew a person with a very big heart, huge smile and positive attitude. His kindness and generosity will live on for many years to come and it is for that reason the William Mitchell Aldrich Scholarship was established. Mitchell was a well-respected young man and he would want his scholarship awarded to someone of great character and passion for music and life. This scholarship is to be awarded to any student in any of Westfall’s musical programs and preferably but not limited to someone pursing a musical college degree. This person shall not have a GPA below 2.5 but is not guaranteed to be awarded to the person with the highest GPA.